Terms like skin aging, wrinkles, premature aging, and skin discoloration have become common in younger age groups due to stressful lifestyle in today’s urban scenario. Besides this, reducing a few pounds also causes wrinkled skin. Nobody wants to look older than they actually are. To avoid this or to deal with such a scenario we would like to give you some beauty tips that you can incorporate in your regimen. These tips are easy to follow and will surely help your skin cope better. Your skin will appear healthier and fuller. 1. Shift to products that provide hydration – Opt for products that don’t strip your skin off its oils and provides some hydration. Starting with sunscreen check your tinted moisturizer and foundation, if they are of drying formula. We recommend that you use formulas that offer dewy finish instead of a matte effect. Tinted moisturizer and foundations with powdery or matte formulas are more prone to settle in the fine lines and will make them more prominent. If you are unsure about a product check its list of ingredients. It can have sodium hyaluronate, petrolatum, and glycerin all of which have hydrating properties. What’s even better is that dewy look is in vogue currently! 2. Limit the use of face powder – Be careful of not putting too much of compact powder. Instead of products that are dry, use ones that are easy to blend and have a creamy texture. 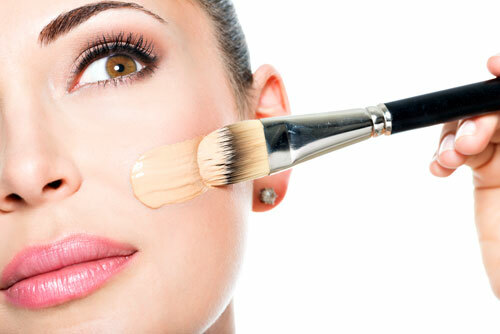 Face powders may settle in fine lines after a few hours and will make skin issues more prominent. You can also try to lightly dust loose powder as a final step to set your makeup. 3. Incorporate products with AHAs and Retinol – Alpha-hydroxy acids (AHAs) are derived from fruits and are known to improve the quality of skin by mildly exfoliating the skin. These natural fruit acids are used in various topical cosmetic products to also treat skin issues like discoloration. 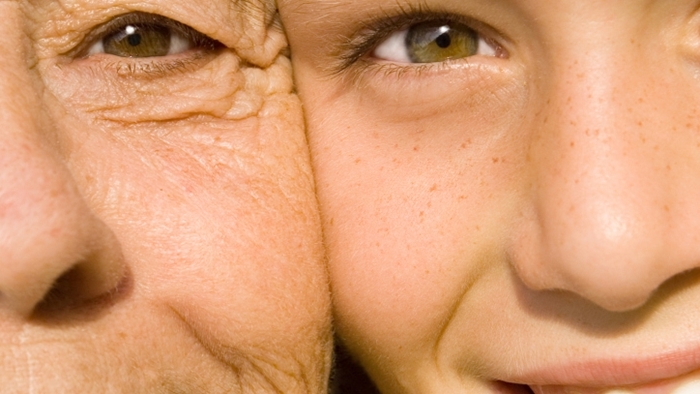 Another important ingredient is Retinoids or RetinA that is proven to reduce wrinkles and fine lines. As a potent anti wrinkle formula it is quickly absorbed by the skin and is found in many overnight creams. Please consult your dermatologist to prescribe a cream with good amount of RetinA. We highly recommend that you include a night cream in your beauty regimen as skin repairs itself best during night time. 4. 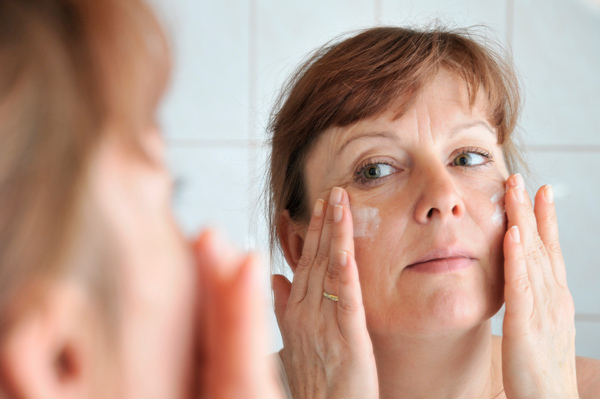 Stay out of the sun – Extended sun exposure can trigger skin aging even before its usual time and can worsen their appearance if you already have them. 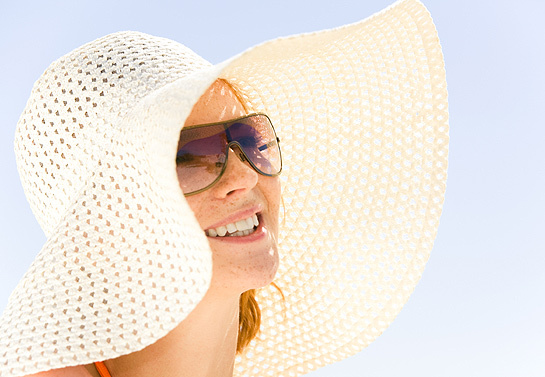 Protect your skin from sun by covering it with a scarf and always apply a good sunscreen. It is best to stay indoors during 12 pm to 2 pm when the rays are most harmful.